Well, the best-made plans of trick-or-treaters oft get laid (in a manner of speaking). Greg Anderson plays Ligeti’s Etude No. 13 (appropriately enough), "The Devil's Staircase." One of the classic Halloween pieces is this paraphrase on the ‘Dies irae’ by Franz Liszt called Totentanz or “Dance of Death. The dies irae is the Gregorian chant for the “Day of Judgment, Day of Wrath” in the Roman Catholic Requiem text and any good and ghoulish composer from the 19th Century made hay with the dies irae at the drop of a… severed head, perhaps. Pianist Benita Rose and conductor David Vaughan, former students of mine from the University of Connecticut, were all set to perform the work with the Willimantic Orchestra on Sunday but this kind of freakish snow-storm (perhaps you’ve heard about it) dumped two feet of snow and toppled many trees on the area, cancelling the concert. So, in their honor, here’s a link to a period-instrument performance of Totentanz by Franz Liszt with pianist Pascal Amoyal and Anima eterna of Brugge (Belgium) conducted by Jos van Immerseel (note, for instance, the ophicleide which was what early-and-mid-19th Century orchestras used instead of a tuba). Since these videos are not available for embedding, follow these links for Totentanz Part #1 and for Totentanz Part #2. While most everybody has heard the ubiquitous Carmina burana by Carl Orff, very few would know the other parts of that choral trilogy and hardly anybody would know this piece, actually the last thing he completed, finishing it in 1972. It’s called De temporum fine comoedia which roughly translates as “The Play for the End of Time” and sets texts in Latin, Greek and German in a way that is more typical of Orff’s later style which, most definitely, is not the style we know from Carmina burana. While I think the opening section with the nine sibyls is much scarier than the section with the nine anchorites, that’s the one I could find on YouTube, a recording with Herbert von Karajan and the Köln Radio Symphony Orchestra, choirs and soloists. Again, of the five parts of this section, only three are available in this country, why I don’t know. But here they are – hold on to your head. Here’s a link to a free download of the full score if you really want to follow along. For many people one of the most unsettling pieces of music in the 20th Century is Arnold Schoenberg’s Pierrot Lunaire, for any number of reasons. For many other people, another very unsettling image is the Teletubbies. Daniel Capo has managed to combine the two in these videos of two extracts from Schoenberg’s Pierrot accompanied by my own translations of the texts. Pierrot Lunaire Mondestrunken from Daniel Capo on Vimeo. The wine we drink through the eyes / Flows nightly from the moon in torrents, / Like a spring tide Overflowing the far horizon. / Terrible and sweet desires / Drift in floods without number! / The wine we drink through the eyes / Flows nightly from the moon in torrents. / The poet, driven by devotion, / Befuddled by the holy drink, / Raises to Heaven his ecstatic head / And reeling, slurps up and guzzles / The wine we drink through the eyes. A snowy speck of shining moon / On the back of his black frock-coat, / So Pierrot sets out one languid evening, / Seeking fortune and adventure. / Suddenly, something’s wrong with his appearance, / He looks around till he finds it – / A snowy speck of shining moon / On the back of his black frock-coat. / Drat, he thinks, a fleck of plaster! / He wipes and wipes but can’t make it vanish! / And on he goes, his pleasure ruined; / He rubs and rubs till early morning / At a snowy speck of shining moon. Pierrot Lunaire just got creepier... from Daniel Capo on Vimeo. Well, that should do it for this Halloween. 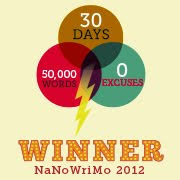 Tomorrow starts November which is National Novel Writing Month during which I (and many other crazy people like me) will take on the challenge of writing 50,000 words of a novel in 30 days. I’ve done it four times already, and made the goal each time. This time, I’m doing a complete re-make of The Lost Chord, keeping only the title, many of the characters’ names – how could I just throw away the likes of Yoda Leahy-Hu, Iobba Dhabbodhú, LauraLynn Harty, the villain Tr’iTone and numerous agents with musical puns for names like Kay Gelida Manina or Barbara Seville – but completely changing the plot and setting and divorcing it all from the parody it originally was (if it wasn’t exactly original) of Dan Brown’s The Lost Symbol. It begins tomorrow! Wish me luck! Going to a concert to hear music performed live is “an experience,” something different than simply hearing music on your radio or iPod. Part of that experience is sharing it with the rest of the audience. Performers have often said how they “feed” off the audience’s interest (or are affected by its lack) which can inspire or deflate their performance, individually or collectively. That’s often why live performances can be more exciting than recordings: musicians perform better when this sense of energy excites them, perhaps make them more willing to take risks in this one-time-only experience rather than when making a recording for posterity everybody wants to have note-perfect. While we may all have our stories of wonderful performances destroyed by audience distractions, from cell phones to stage-whispers, it only takes one person in the audience to ruin our experience. It’s something that can be rude to the rest of the audience, maybe just the people near by but often the whole auditorium-full; it can be distracting to the musicians who have worked hard to bring you this experience after hours and hours of practice and rehearsal; it's certainly disrespectful of the music, whether Beethoven cares or not. And if you believe as I do that this can sometimes be a spiritual experience, whether it’s intended to be a religious one or not, it can be disrespectful to [insert name of Deity-of-choice here]. A few years ago, a performance of Schubert’s Quintet with the Miró Quartet and cellist Paul Katz here in Harrisburg was marred by an “eccentric gentleman of a certain age,” and I discovered later it might have been prevented by a more vigilant ushering staff. He had been overheard in the lobby after the second half had begun apologizing to the usher(s) for being late because he had been down drinking in a bar “with the [insert N-word here]” but since he had a ticket, they let him in unsupervised! His wild gesticulations and irritating conversation destroyed the performance for many people in the audience, though fortunately the musicians on stage were largely unaware of his distraction which endured for the first two movements before he was finally expelled by one of the ushers, though only upon request of an irate audience member who had to get up from his seat, go out to the lobby and demand the drunk be removed from the hall or he’d do it himself! And during such a sublime piece of music! I don’t know why this happens, except that sometimes we feel we ourselves are generally more important than anything going on around us. Part of this comes from our being used to sitting in our living rooms watching television where talking during the program is a very natural thing to do: nothing sacrosanct about sitting in your living room. Unfortunately, Carnegie Hall is not your living room. Maybe I’m an [insert derogatory term for ‘person of a certain easily irritated nature’ here], but when I’m sharing your living room with several hundred to a thousand or so other people, please: the climax of a Bruckner symphony is not the time to be sharing your recipe for bean soup! I’ve often told the story about my experience with “Baby Huey at the Met.” Curiously, this one didn’t actually interrupt the performance, it was limited only to the moments "outside" the music, but it had me on edge during most of the first act, waiting... waiting... waiting for something to happen. Then, during the first intermission, I realized why he wasn’t going to disrupt the music. “Baby Huey” was a memorable cartoon character from the ‘50s and ‘60s, a 200-pound duckling created by Paramount Pictures' Famous Studios, a “dense and stubborn” baby duck who seemed to have trouble fitting in with the world around him. I called the man in the seat next to me in the Metropolitan Opera House’s balcony that night “Baby Huey” not just because he was a Large Person. True, at 6'6" or so, and quite possibly 300 pounds, he may have had trouble fitting into his seat if not the world around him, but that is only because his subsequent behavior drew more attention to himself than his already noticeable presence. Had he been 5'7" and 140 pounds and still doing what I’m about to describe, I would merely have come up with a different name for him. The fact he was wearing a yellow shirt under a powder blue sweater amazingly too small for his pear-shaped build (this was in the days before mid-riff-baring t-shirts became fashionable) made the name inevitable: I didn’t even have to think. In fact, I saw him as I entered the balcony handing my ticket to the usher and knew that my seat was going to be the empty seat on his right. Once I had crawled over his lap to get to my seat and settle in, I began reading the plot synopsis of Meyerbeer’s “La Prophete.” This was only the second live performance I had a chance to experience at the legendary Metropolitan Opera House at Lincoln Center since I moved to New York City a few weeks before. The season had just begun and it was an opera new for me. I was, naturally, excited to hear something new, see a production that had been much maligned in the press (and rightly so, it turned out), to hear the great voice of Marilyn Horne in one of the lead roles, and just TO BE at the Met, not for a special occasion but something that could now, living merely a mile away, be a regular occurrence. I needn’t have bothered reading the plot synopsis. Once he had recovered after my interruption, my seat-mate resumed reading the plot synopsis out loud in a kind of stage whisper not quite lost in the general pre-performance ambience. It was then I realized his right hand was positioned in front of him as if he were holding a microphone. He had a pleasant enough voice and he was, apparently, trying to be unobtrusive. But he read the entire plot synopsis word for word and then proceeded to continue talking about the up-coming performance, mentioning the cast and describing each of the characters. He was playing Radio Announcer, pretending to be the radio host of a Metropolitan Opera broadcast, perhaps inspired by the great Milton Cross who had had that role for 43 years and had died only a few years earlier. The lights went down, the conductor entered the pit. My seat-mate said, with obvious pride and excitement, “The lights have come down, James Levine is now entering the pit to the audience’s applause – and now” (dramatic pause) “the first act of Giacomo Meyerbeer’s... ‘La Prophete’...” And the music began. Throughout the whole (and very long) first act, my Milton Cross Wannabee did in fact never utter a sound. Not that I wasn’t on pins-and-needles waiting for it to happen. It finally occurred to me, he would never do that because Milton Cross would never have done that. I was, I assumed, safe. After a while, I became oblivious to the person I could sense next to me. At the conclusion of the first act, up went the right hand into microphone position (I wanted to see if he cupped his left hand over his ear) and he said, almost inaudibly under the applause, “And as the Prophet calls for the crowd in the church to baptize him as a prophet, the curtain comes down on the end of Act One of the Metropolitan Opera’s performance of Giacomo Meyerbeer’s ‘La Prophete.’ We heard tenor Giuseppe Giacomini as the Prophet and Marilyn Horne as his mother...” and so on, just as you would hear on the actual broadcast. Once he finished what I now know we call “the back-announce,” he got up, stretched to his full height and wandered down the aisle and out into the lobby. I needed to stretch my legs, too, so I went out into the lobby just to stand around and admire the place and "people watch." But I couldn’t help noticing that not too far away from me stood my seat-mate, in his yellow shirt and stretched-to-the-limit little powder blue sweater, holding his hand with his imaginary microphone up to someone holding a drink in his hand, asking him what he thought of the performance! Ah, it was time for the Intermission Feature! I made sure I was back in my seat first. Mr. Huey settled down next to me, opened the program to the plot synopsis again, placed his hand in microphone position and reread the plot of the next act. When it appeared intermission was running longer, having already completed the cast list, he proceeded to fill by reading the names of the orchestra members. He was about halfway through the soprano section of the chorus (bad radio, by the way) when the lights came down and the audience applauded the entrance of Maestro Levine. “The lights have come down, Maestro James Levine has entered the pit as the audience voices its approval with their applause, and our performance of Giacomo Meyerbeer’s ‘La Prophete’ continues with the Second... Act...” While I'm glad he hadn't thought to interview me, I was hoping he would at least have made up some call-letters for his station, but apparently he had not. Nor did I ever hear him mention his name. Again, he was silent during the music. During the pauses between scenes, he might do a quick voice-over to explain why we weren’t hearing anything, give a quick mention of what we might expect in the next scene, all good features of a live radio broadcast: once the music began, the microphone-holding hand came down, and he never said a word. And so it went for what was actually a very long performance (if it wasn’t over just before midnight, it certainly seemed like it). At the very end, he described each of the singers’ costumes during the bows, going on interminably just as the Met broadcasts still do to this day, and when the applause stopped and the Golden Curtain descended on yet another performance at the legendary Metropolitan Opera House, he intoned “And so the Golden Curtain descends on yet another great performance at the legendary Metropolitan Opera House.” I would have disagreed about the “great” but then I wasn’t going home to play Critic and write up a review for my blog (oh wait, I didn’t have one in those days). He got up, carefully tucked his pretend microphone into his pocket and went out into the lobby, satisfied with another broadcast successfully completed. In all the performances I attended at the Met in those years, I never once saw him again. How could I miss him!? It may have been one of the more memorable performances I ever attended in my life only because of him (the opera, its production and the performance were all, admittedly, disappointing), but at least he did not spoil the experience itself for me, and for that I thank him. Unlike other people who seem to think it would have been okay to do that during the music. Or to answer their cell-phone: not even to say "I'm in a concert, I'll call you back" but "I'm in a concert, what do you want?" Backstage after that performance of the Schubert Quintet I'd mentioned earlier, I was telling cellist Paul Katz about the “eccentric gentleman” in the audience he'd somehow missed. He mentioned how, years ago, one man sat himself down, front row center, just as a concert was about to begin, then reached into his inside jacket pocket to pull out... a baton. 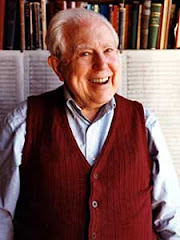 He proceeded to conduct the Cleveland Quartet throughout the entire performance – and rather badly, Katz noted. It was one of the most difficult performances they ever gave, he said, trying to ignore this man they couldn’t help but see just a few feet in front of their music stands. Okay, it's been a tough couple of months, so perhaps something on the lighter side, this time. Sometimes we only half-hear things or perhaps half-remember them... They can be embarrassing, when you’re thinking of one word and something that only sounds like it comes out of your mouth: if nothing else, it can take the brain in a whole different direction. I remember someone who, for some reason or other, had mentioned a new diet plan – the “South Park” Diet. I was trying to imagine how the characters on South Park could actually promote a diet plan: perhaps that was what killed Kenny? Kodaly – pronounced KOH-dai – was a Hungarian composer (see photo, left) who collected a lot of folk songs across Eastern Europe. The clerk muttered something about odd folk customs one might find in Eastern Europe (immediately, the whole Monty Python “Fish-Slapping Dance” ran through my mind). No, no “Buttocks-Pressing Song” by Zoltan Kodaly in stock. 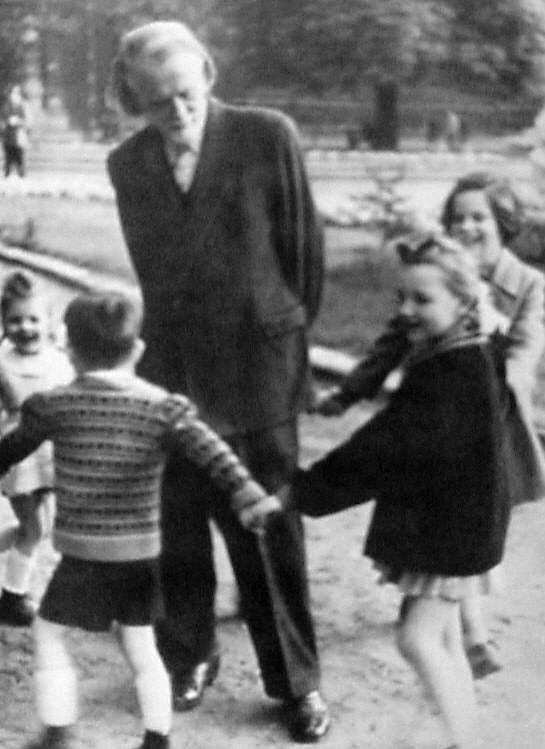 He even checked under Kodaly’s colleague Bela Bartok, who also published arrangements of hundreds of folk songs, and found nothing there, either. Then he asked whether it was part of a set or an individual piece. “An old English dance hall song?” he said in disbelief. Having “googled” this more recently, I found it’s actually a frequently committed occurance, one that’s been around a while – and it’s not an English dance hall song but a sentimental ballad by the Russian composer, Leonid Malashkin. That doesn’t mean the harried clerk hadn’t heard what he thought he heard. These are known as Mondegreens – something you hear that’s close but not close enough to win you a cigar. “They have slain the Earl of Moray / And Lady Mondegreen,” as a famous Scottish ballad goes. How romantic, you might think. Except the correct last line is “and laid him on the green”. It's like wondering who Round John Virgin is in “Silent Night” or why the song called "Gladly, the Cross-Eyed Bear" isn't really about a bear at all. And why is "Shirley, Good Mrs. Murphy" following you all the days of your life? A friend of mine when she was 5 would sing “We shall come rejoicing, singing in the trees,” apparently because she had no idea what “bringing in the sheaves” meant. Or another friend who enlivened childhood renderings of “Jingle Bells” by singing about “one whore, soap and sleigh” whether he knew what it meant or not. 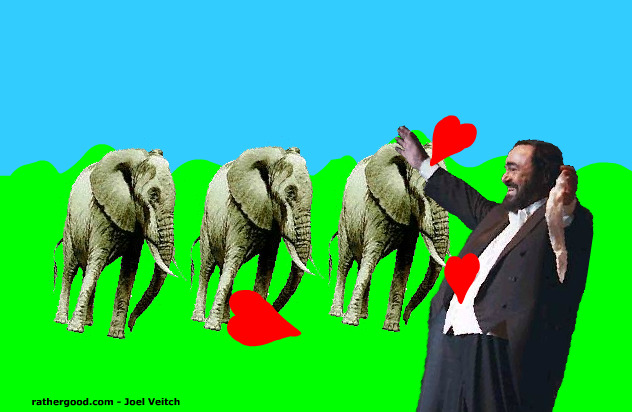 A link I keep in my computer for a moment when I need a laugh was inspired by a Mondegreen from Verdi’s opera, Rigoletto, compounded of course by being in Italian but sounding like the tenor (here sung by Pavarotti) has a thing for elephants. The original Italian is “e di pensier,” which basically means “and her thoughts” at the end of the Duke’s famous aria, “La donna é mobile” (which might come out “ La donna immobile” if it refers to the soprano Jess Enormous). Now whenever I hear this aria, I can’t get “elephants, yeah” out of my mind!